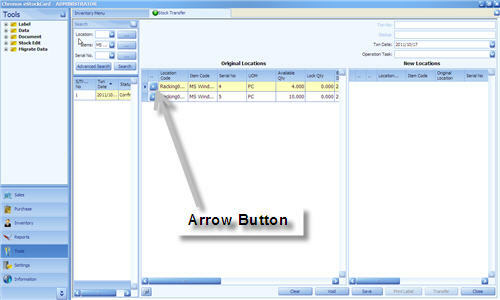 Stock Transfer function is to move the stock inventory from one location to another location. 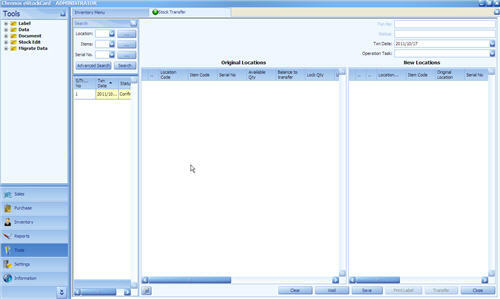 For partial quantity to be transfer to their new location, the eStockCard will generate a new serial no for traceability purposes. 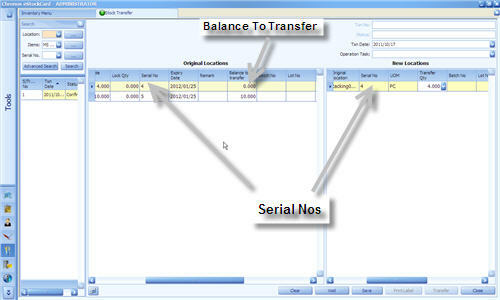 However, for full quantity transfer, the serial no will remain the same. 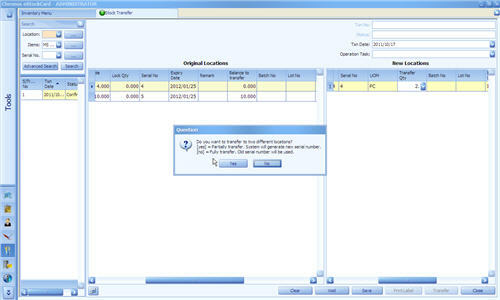 For example, if the item A (qty: 10 pc) is at location A1 with the serial 8. 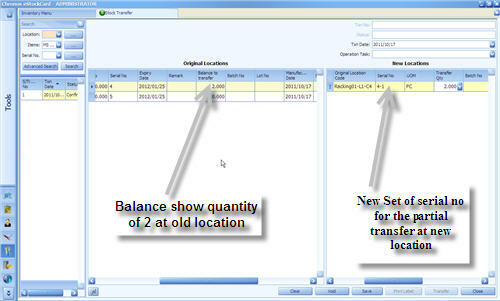 If the item A is transfer to location B for the qty of 3 pc, the new serial no, will be 8-1. The “ – “ on the serial no will show that the stock have been partially move from their original position. 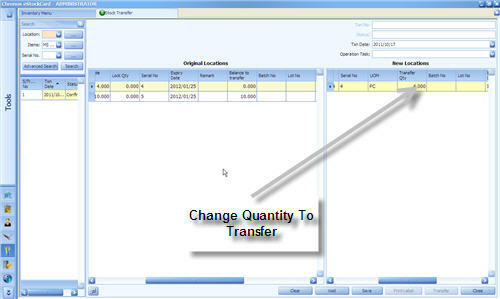 Step 5 Once either step 4.1 or 4.2 is done, click on the Save button to save the transfer details.